If you toss and turn at night and wake up feeling groggy and stiff, it could be because of your pillow. All your bedding affects the quality of your sleep, but nothing as much as where you lay your head and neck. The support of a quality pillow is essential to a good night’s rest. Before replace your old pillows with more of the same type, consider the comfortable and responsible alternatives. Did you know that the vast majority of pillows contain chemical flame retardants and formaldehyde? That they are produced under unsustainable conditions and sourced from all over the world? And that they are part of a bedding industry that lags far behind the environmentally-conscious world we are all trying to support? Is that the kind of pillow you want to buy? If you need new pillows for better rest and you want to make a responsible choice, consider a buckwheat pillow. This simple solution offers the best of both worlds – a better night’s sleep and true green credentials. Read on to learn how buckwheat pillows can transform your nightly ritual for the better. Let’s start with buckwheat itself. It’s not actually related to wheat, but it does produce a seed that is often milled into a flour. You may have had a tasty stack of pancakes made with buckwheat flour before. Around each seed is a hull that gets removed during processing and is typically discarded. Asian cultures realized hundreds of years ago that the firm yet malleable buckwheat hulls made a superior upholstery filling. They started stuffing everything from furniture to pillows with buckwheat hulls, and the technique eventually caught on in the west. Unfortunately, it never became as popular as feathers or the synthetic materials we often rely on now. It may sound exotic, but the principle behind buckwheat pillows is really very simple. 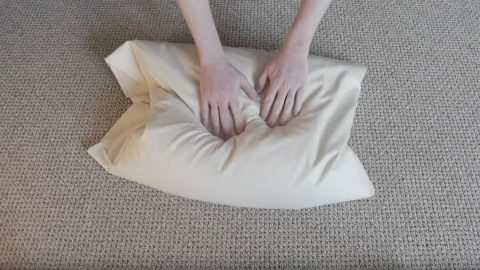 Just imagine a normal pillow, but instead of having chemically-based stuffing, it has tens of thousands of tiny hulls providing firm and even support. It turns out that this abundant all-natural product is one of the most comfortable stuffing materials available anywhere. As we have collectively become more eco-conscious, and science has proved the importance of a great pillow, buckwheat pillows are exactly the solution that many have been looking for. This time-tested alternative is the natural choice for today. What Makes a Buckwheat Pillow Green? 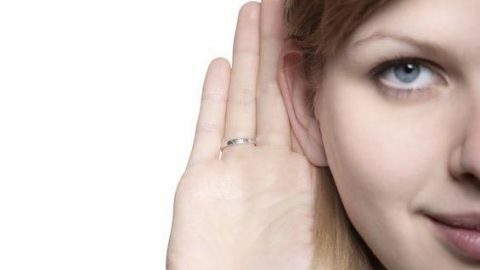 Lots of products claim to be green, but when you look closer it turns out to be more of a sales pitch than a reality. Buckwheat pillows, by contrast, are a sustainable product with a miniscule environmental impact. In fact, you would have to go out of your way to make this product unsustainable. Buckwheat is such a hearty plant that it grows without needing pesticides, herbicides or appreciable amounts of fertilizer. 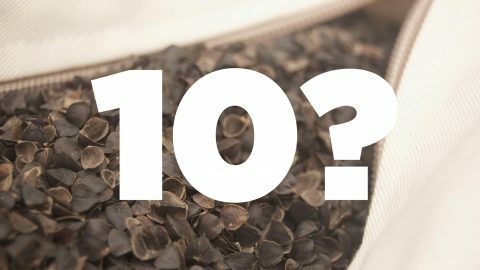 That means that almost all buckwheat hulls, even the ones that have not been officially certified organic, are grown without chemicals that poison the soil and leave dangerous residue on the plant. The processing of the hulls is just as sustainable. They are air cleaned and air dried in a process that is energy efficient and does not add any chemicals or fertilizers to the outside of the hulls. Buckwheat pillows are also great for living up to rule number one of green living – use less. Buckwheat pillows can last many years with proper care, while traditional pillows quickly end up in the landfill. 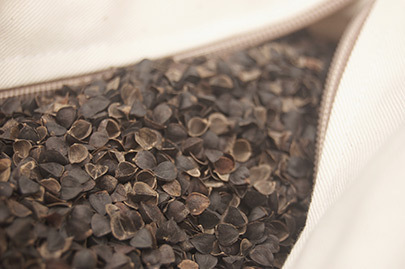 Refreshing your buckwheat pillow is as easy as adding new hulls instead of throwing out and replacing the whole pillow. If you have a DIY spirit, you can design and sew your own pillows and then easily fill them with high-quality buckwheat hulls. The pillows look great, feel great and come from your own materials and efforts. Its a win-win situation. How Can a Buckwheat Pillow Improve My Sleep? Buckwheat hulls have unique properties that no other filling material can match. The reason that they initially caught on was not because they were green, but because they were so comfortable. The size, shape and strength of buckwheat hulls allow them to compress under your weight but not collapse. That means when you lay your head on one of these pillows, it sinks in, but not so much that your spine is thrown out of alignment. That allows you to fall asleep faster, stay asleep longer and wake up feeling more rested. Buckwheat pillows also allow you to adjust and calibrate your pillow for maximum comfort. Other pillows make it difficult to remove stuffing. But since buckwheat pillows are filled with thousands of individual hulls that are accessible through a zippered side, you can add or subtract them until your pillow is just the way you like it. Something else to consider is temperature. Buckwheat hulls allow air to circulate throughout the pillow which helps to diffuse heat. That means you never have to search for the cold side, and your face never gets uncomfortably hot. Plus, if you are known to sleep with your face jammed in the pillow, you won’t struggle as much to breath. Many people that make the switch to buckwheat pillows for one night end up making the switch for life. They are surprisingly comfortable, completely customizable, climate controlled and a good alternative to those allergic to traditional pillow types like down. 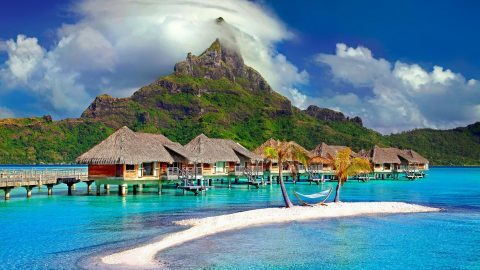 When you wake up feeling rested, painless and ready to seize the day, you can’t argue with the results. 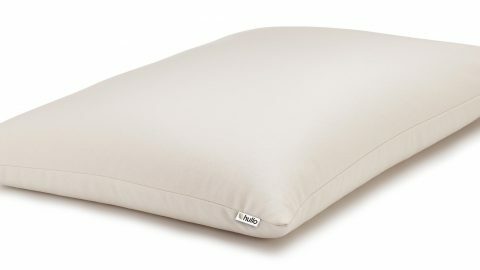 Now that you know that buckwheat pillows are both comfortable and eco-friendly, try one made by Hullo™. We are committed to using the highest-quality, sustainably-produced buckwheat hulls, which is why our pillows are so comfortable. Order one today and try it for 60 days with a money-back guarantee. If you are not convinced that you are doing something better for yourself and the world, we are happy to take it back with no hassles. Just ship it back to us and we’ll refund your credit card. Put your flat, uncomfortable, unsustainable pillows on the couch for a while, and try a buckwheat pillow instead. Try Hullo for 60 nights risk-free.